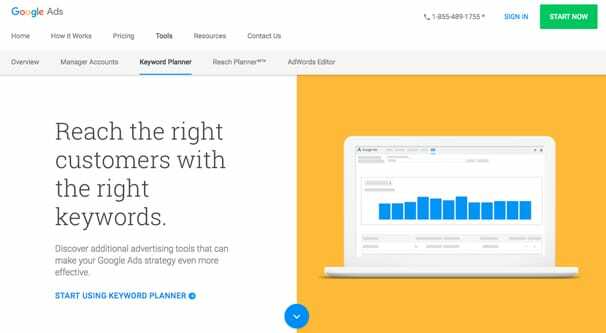 If you’re familiar at all with Google’s ad system, you’ve almost definitely made use of the keyword planner. It’s one of a handful of tools Google provides to help you identify various pathways to advertising success. It makes sense, right? Google wants you to succeed with your advertising, because successful marketing means more investment in marketing, and more investment means more money for Google. Providing tools that give estimates of relevant data is just one minor value add for them. For those of us who have to rely on the data Google so casually hands over, there are some concerns. Most notably, if we’re basing our marketing strategies on the information Google provides via the keyword planner, we want assurances that the data is accurate. It’s even more important considering how many marketers use the keyword planner to guide not just their paid advertising, but their organic marketing as well. How often have you read advice on starting a blog that includes “use the Google keyword planner to find good niche keywords to target with content”? I know I’ve even written that advice before, though I’m not sure that I would recommend it today. 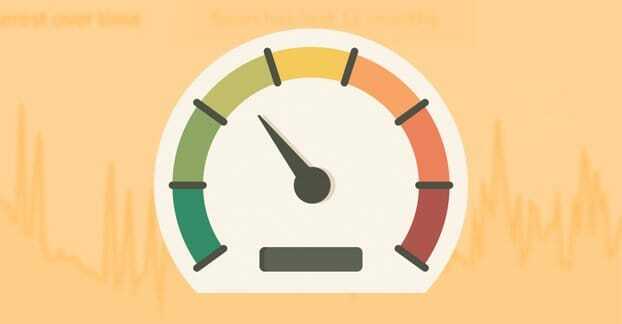 Google’s keyword planner gives every keyword you search a competition score. Often, this is just a binary low or high flag, and it doesn’t mean what you think it means. Most of the people I ask about this ranking assume that it’s the difficulty of ranking content for that keyword. That’s what so many organic SEOs think, and it’s even what a lot of paid marketers think. It’s also incorrect. The fact is, the competition ranking is ONLY relevant to the number of other businesses currently bidding on that keyword. From my experience, which could be slightly off base, the competition ranking is going to be “low” pretty much no matter how many businesses are buying ads for that keyword, UNLESS there are enough bidders that a proportion of them are completely out-bid and aren’t able to get their ad viewed at all. There’s a bit more nuance to it, but the fact is, “low” can describe keywords with zero ads running and keywords with half a dozen bidders at the same time. 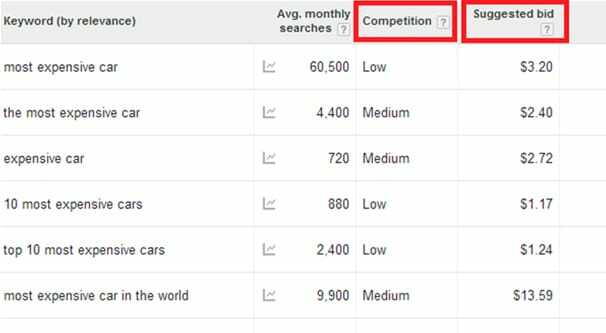 Most importantly, the keyword competition ranking is not related to organic competition in any way whatsoever. A keyword with high competition might not have many strong organic websites ranking at all, while a keyword with low competition could have one or two firmly established players that are impossible to unseat. The second aspect that comes into question with the keyword planner is the sheer size of their volume ranges. 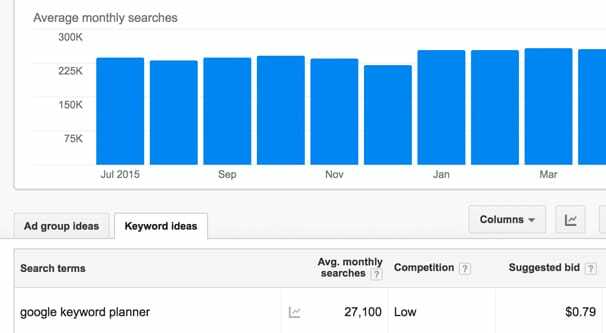 Most of us rely on the keyword planner to give us a good estimate of how many people are searching for a specific keyword in a given month. The problem is, this range can vary wildly. First of all, Google samples search rates throughout the course of the year and averages all of these numbers to get the actual reported number. The average, then, can vary by thousands of searches up or down. Frankly, it’s such an inaccurate number that I don’t recommend making decisions based on minor differences between two keywords. For example, if Keyword A has 150,000 searches, while Keyword B has 170,000, those two numbers are close enough as to be indistinguishable. Only make decisions based on a difference of 25% or more, in my opinion. Secondly, you’ll often find data that is frustratingly non-specific. Instead of saying “this keyword has 150,000 monthly searches” you will see the average search volume listed as “10,000-100,000”. Which is it? Where does that number lie? There’s a big difference between ten and a hundred thousand searches per month, and that difference can mean profitable ads or a losing campaign. This comes back to something called a traffic bucket. Traffic buckets are general ranges of traffic that Google divides keywords into based on how close their sampled number is to the bucket range. When Google lists something as having 150,000 monthly average searches, it could actually be 140K, or 190K, or who knows what else. Moz did a study a couple years back and found 85 buckets, logarithmically portioned out, with some of the largest varying by as many as 250,000 searches out of line of the data. You can read more about that in this post. Another issue with the keyword planner’s data is the variance between it and other sources of data. 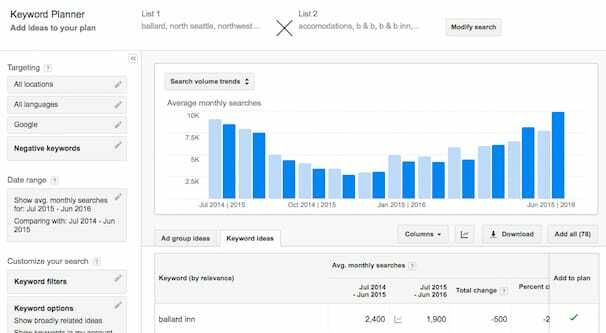 You can find other sources of estimated keyword volume, such as Google Trends, or even within Google Ads. Simply make a new Google ad group, then create a single ad within it with one single keyword. Max out your hypothetical bid – you aren’t actually going to be running these ads – and Google will give you an estimate of how many impressions you’ll get per day. Now, an impression is a person searching for a keyword. 100 estimated impressions would indicate a daily search volume of 100, or 3,000 for the month. 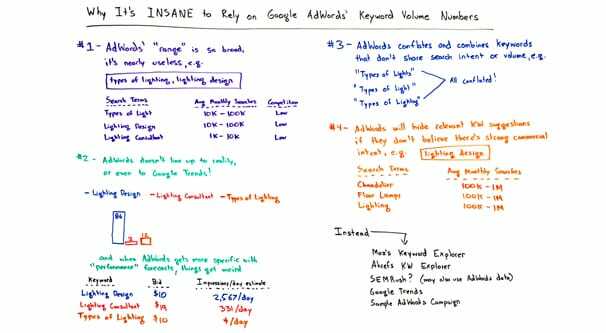 The math checks out, until you go and look at the same keyword in the keyword planner and see a monthly estimated volume of 10,000. There are a few potential causes for this. For example, it could be a highly seasonal keyword. Something like “Christmas Decorations” is going to have a pretty high volume in the November-December stretch, but won’t have much at all throughout June and July. Google’s keyword planner is averaging and rounding the data for a one year period, while the daily impression estimate is more localized to the current week or month. The discrepancy makes a bit more sense there, but it doesn’t inspire confidence in the keyword planner. After all, if you go into your ads expecting 10,000 views in a month and you only get 3,000, you’re not going to be happy. The keyword planner tends to group up “similar” keywords, but Google isn’t necessarily smart enough to identify whether or not certain keywords SHOULD be grouped up. We tend to think of Google as a very smart algorithmic system, and it is, but it’s not smart enough to completely reverse-engineer every possible human intent. Moz, again, showcases this with a Whiteboard Friday talk. In it, Rand identifies three keywords that Google conflates to be basically the same thing, but which have very different intents. “Types of Light” – This keyword is fairly likely to be physics-related. The user could be trying to learn about the differences between visible light, ultraviolet, infrared, and whatever other types of light they might not know about. “Types of Lights” – This is a more specific product-related query. The user likely wants to know about different kinds of lights, be they flashlights, stand lamps, spotlights, or whatever else. “Types of Lighting” – This one is a more broad but applicable product category search. The user might be looking for industrial lighting, or home lighting, or portable lighting, or lighting for photography. And yet, all three of these keyword have the same data in Google Ads. You know they don’t have the same searchers, the same intent, or the same organic results. The grouping is simply not smart enough or not granular enough to be valuable. 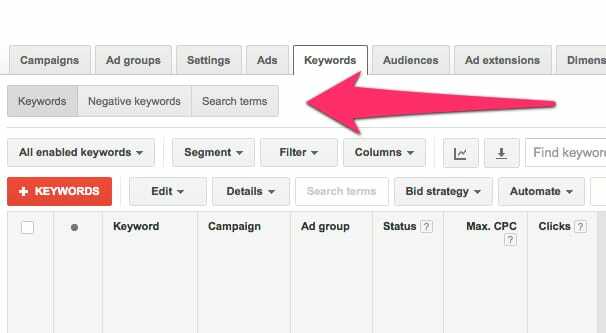 Another problem with the keyword planner is that, since it’s strongly focused on paid advertising, it will ignore keywords that don’t have commercial intent. It doesn’t matter if the keyword gets a million searches a day, if Google doesn’t think people are using that keyword with the intent to shop, they won’t recommend it in their keyword suggestions. In this, Google is mostly just protecting itself. If you’re running paid advertising to a keyword with very low commercial intent but very high volume, you’re going to get a lot of impressions, but very few clicks and even fewer conversions. When that happens, what do you think is to blame? With the leading logic I’ve presented, you know that it’s a poor choice in keyword, but far too many marketers don’t follow that logic. Instead, they figure it’s a problem with Google referring them terrible, low quality traffic. They get mad at Google and complain about Google Ads online, or maybe they even take their business to some other ad network. Of course, those same keywords will perform just as poorly anywhere else, but since our hypothetical marketer can do no wrong, it just proves to them that ads are a scam. You can see this in action if you use any other tool to estimate keyword search volume and recommend keywords to you. Google will filter out keywords they don’t want to show, while other tools have no such qualms. The way I see it, this is Google using the keyword planner as a sort of introductory-level tool. They don’t necessarily want long-time marketers with a ton of experience relying on their estimation tool. 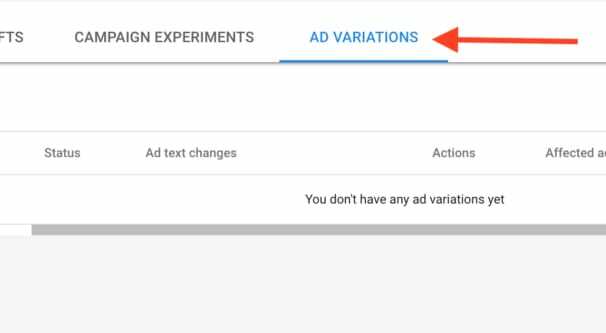 They want you to build up your own research, to figure out what works manually rather than relying on a few button presses to give you solutions to your ads. If you want that, they think, you should go hire an ad manager instead. By now you’ve probably convinced yourself that I’m warning you to stay away from the keyword planner, and that’s not really a bad conclusion to draw. However, I will argue that the keyword planner is more useful than I make it sound. You just need to use it the right way. Don’t use the keyword planner in a way that treats its data as gospel. You’ll just end up disappointed. Instead, realize that the keyword planner is not meant to be used for specific data; it’s made to give you estimates that you can compare to other, similar estimates. 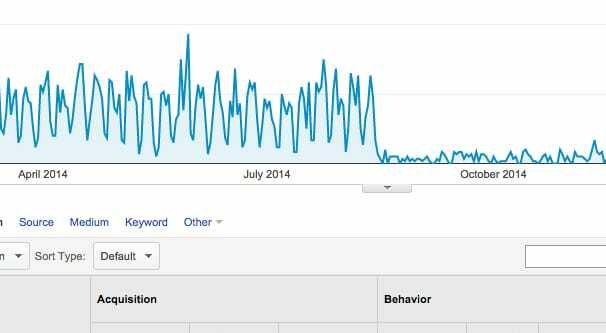 Traffic buckets and yearly averages aren’t useful when you’re changing ads from week to week, right? But they can give you an idea of whether a keyword is very low volume, moderately low volume, or a higher level of traffic. It essentially tells you two things: is the keyword sufficiently niche, and has it been discovered by other marketers? Since the data you get is so rarely spot-on accurate, I never recommend using the keyword planner for organic research or for estimated numbers. For example, if you know you have a 1% conversion rate, you might be tempted to use the keyword planner’s estimated search volume to extrapolate the conversions and thus profits you could get from the ads. This is where operating with faulty data throws everything off. Just don’t use their data as that crucial a source. If you want more accurate data, you can get it from a few different locations. I’ve linked to Moz a few times in this post, and you can easily use the Moz keyword explorer to get more accurate data. They sample a variety of sources to aggregate relevant data. 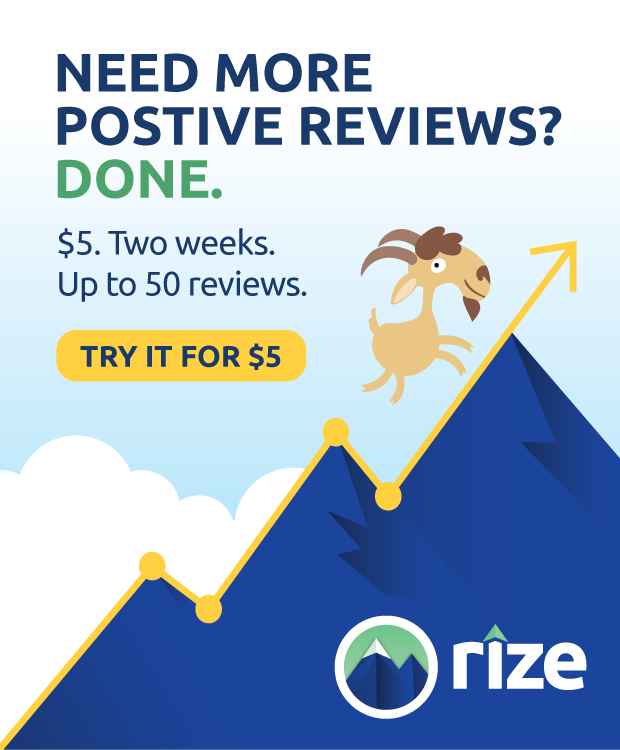 If you don’t want to use Moz, or you’ve used up your free queries and don’t want to pay for a pro account, you can use a few alternative tools. 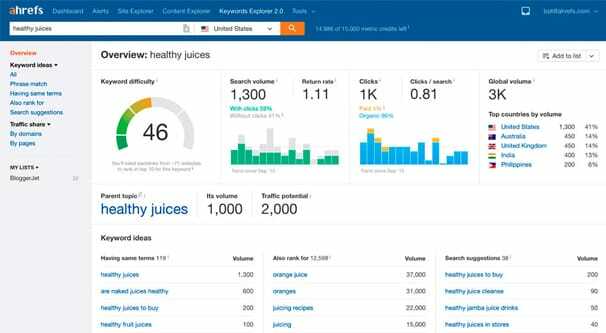 Ahrefs has a very similar keyword tool with plenty of useful information. If you don’t trust any tools, you can use a handful of different sources and finagle the data into being a bit more accurate. Screaming Frog has a good guide on doing that here. Alternatively, just use the keyword planner with a hearty grain of salt. There’s nothing unusable about the data, it should just be treated as a fuzzy source instead of specific data.